While riding on our bus in Shenzhen, the last thing I expected to see out of my window was a glimpse of the “Eiffel Tower.” Thinking I was hallucinating after a short nap, I realized that it was indeed the tip of an Eiffel Tower, but why was this here? Curious as I was, I decided I had to check this place out along with some friends to see what this amusement park really was. 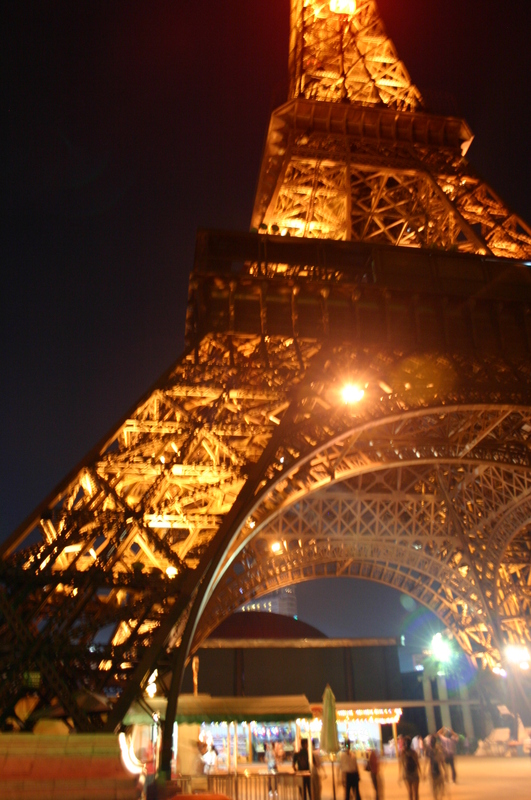 Upon arriving to what was called the Window of the World, through the main entrance of Roman columns, I could see the “Eiffel Tower”, a glimpse of Japan, and the Taj Mahal all at once. Although these were tacky copies of notorious architectural landmarks, they were nonetheless very similar, even at their scaled down sizes. With copies of the Pyramids at Giza, Mount Rushmore, The Grand Canyon, Italy, Holland, and Greece surrounding me, it became quite a peculiar, yet impassive moment. Following Shenzhen, we departed back for Hong Kong, and are now situated in Shanghai. Fortunately, we arrived in Shanghai about two weeks before the Shanghai World Expo was ending, and therefore have been spending our first week in here at the Expo. We have tickets for six days, which is definitely needed! With lines ranging around four or five hours, we have to carefully select which pavilions we decide to enter. It is an incredible experience simply walking outside of these pavilions, and gets that much more extraordinary as we venture inside the chosen pavilions. As I was voyaging through the crowds and pavilions from countries all across the world, I could not help but compare the Expo to the Window of the World. Although it may seem like a far stretch at first thought, the Expo and the Window of the World actually do share a similar goal: creating an experience of the world and culture by means of architecture, all within a small area as opposed to the entire world. In an experiential point of view, of course the two do not even faintly compare. However, in terms of an overarching theme, the Expo and the Window of the World are completely analogous. In an excerpt from “The Work of Art in the Age of Mechanical Reproduction” by Walter Benjamin, he states, “By making reproductions, you substitute a plurality of copies for a unique existence.” I found this to relate to the Window of the World in a way in which it cannot relate to the Shanghai World Expo. Obviously I knew walking into the Window of the World that what I was about to experience was not real, and was purely for entertainment purposes. Walking around the amusement park absolutely confirmed Walter Benjamin’s statement in that once a copy is created, the uniqueness of the experience at the actual landmark becomes substituted with artificial emotions. Benjamin goes on to affirm that no matter how perfect a work of art is replicated, it will always lack one ingredient: “its presence in time and space, its unique existence at the place where it happens to be.” This lack of emotional contact is the one of the sole elements that separates the Window of the World and the Expo. Even though the Expo is exhibiting 192 countries’ pavilions in a limited area, each country is nonetheless able to enthrall you into their culture through their architecture. The Expo provides the emotional and experiential quality that the Window of the World lacks tremendously. Each pavilion in the Expo radiates its society’s culture to each visitor, simply due to the fact that it is not a replica of an architectural attraction. 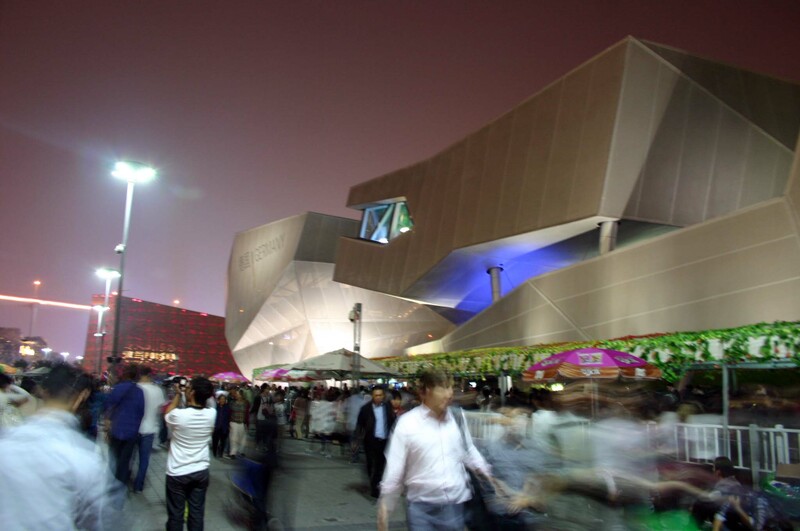 The Shanghai Expo provides a “unique existence at the place where it happens to be,” whether that happens to be in China, Chicago, Germany, or London – something that cannot be said for the Window of the World. It was interesting to see that even though one country’s culture is placed into another country, it can still provide incredible experience, if done appropriately.